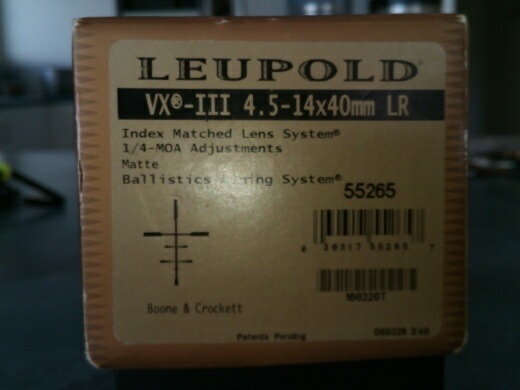 Unsure if I'm posting in the right place, but I am looking at a rail for my HK SL8, and the one I've managed to find has the Leupold vx 3 4.5-40x40mm Boone and Crockett reticle with it. The owner isn't willing to sell them separately and I'm not really wanting to spend an excessive amount and would want to flick the scope off. Any idea on how much I should offer, bearing in mind I can get a rail for about $200 from Germany? Thanks @bigbear I told him the most I can do at the moment is $700 for scope and rail and isn't willing to seperate the 2. He seems to think it's worth more. Price for current model is around $1100. $700 upwards for the scope. Plenty have sold on here for more. I sold the exact same scope for $550 two years ago. As was said it's the older model. 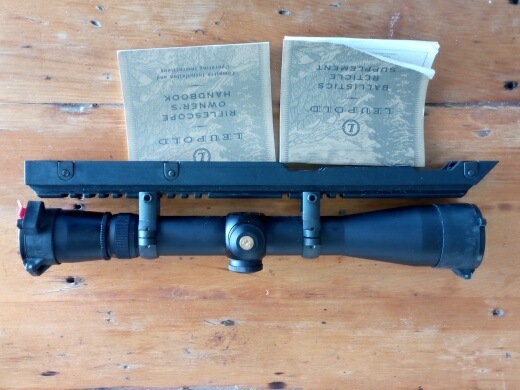 Old scope mate I think bigbear is right price wise depending on condition. If he wants to be a dreamer just buy the rail from Germany and save yourself the hassle. the VX-III, as this scope is, was even earlier. veitnamcam and 10-Ring like this. veitnamcam, superdiver and Hansy like this. I got the newer VX3i 4.5-14x40 B&C reticle for 799 new recently. All times are GMT +13. The time now is 01:30 PM.